How do you set cost prices for products? 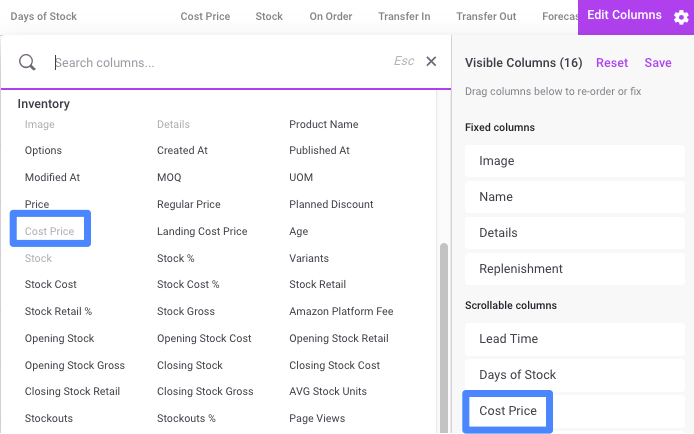 Cost prices in Inventory Planner are used in purchase orders and analytics. 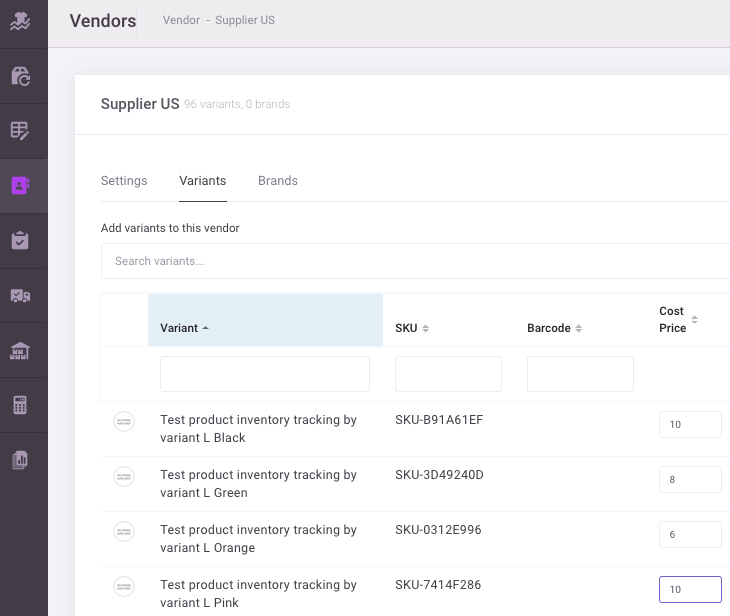 By adding them to your products you enable profits and margins to be calculated in the Inventory KPIs report. 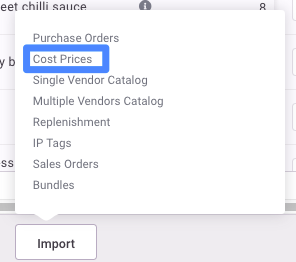 To set cost prices from Vendors page, click at Vendors > [Vendor Name] > Variants and edit them directly on this page for each variant. 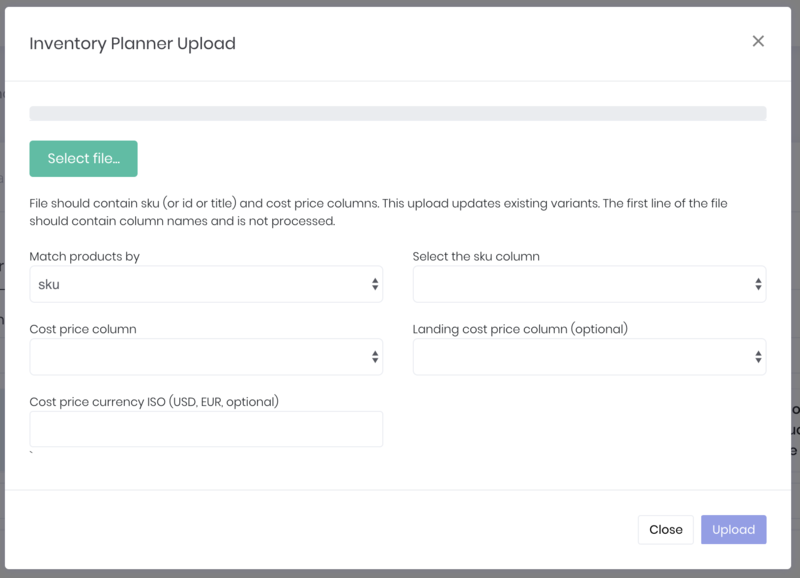 Then select a file, choose which columns contain SKUs and cost prices and click at Upload.